Courtesy of The Boulevard Company, LLC. MOTIVATED SELLER in Riverland Terrace!! NEW roof in 2017, NEW replacement windows in 2016, NEW HVAC in 2015! Upgraded Bathrooms, upgraded kitchen, new landscaping and a detached garage that could possibly be converted and expanded!Adjacent to the Riverland Terrace Boat Landing! Walk to the Terrace Theater, Crust Pizza, Zia Taqueria and Pour House! Riverland Terrace is less than 7 minutes to Downtown Charleston, 5 minutes to EarthFare and South Windermere, all the Avondale hot spots, and easy access to Folly Beach.As you enter the home you instantly get a feel for the charm! Enjoy the large windows letting in TONS of natural light, updated lighting fixtures and ceiling fans. Warm hardwood floors throughout the home and newly replaced windows letting in tons of natural light. 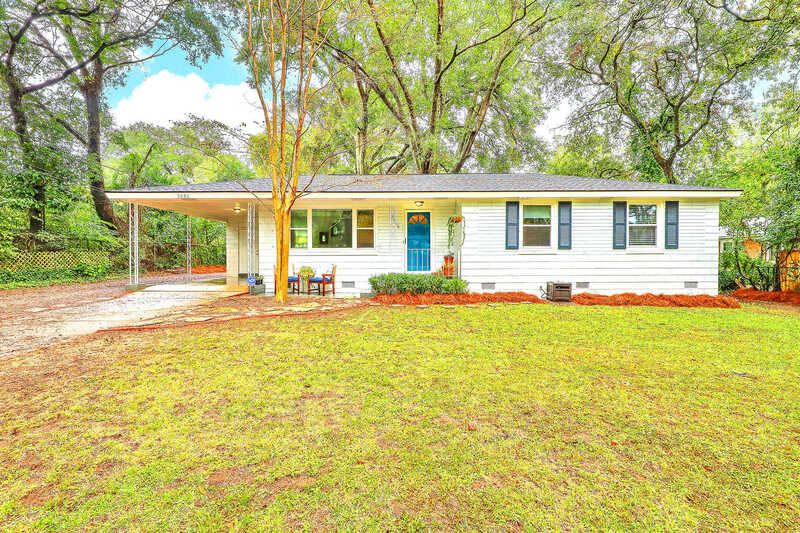 I would like to schedule a private showing for this property: MLS# 18030353 – $319,900 – 2086 Welch Avenue, Charleston, SC 29412.